Last week, I posted about my new favourite makeup removing combo. So today, I thought I would share some more skincare bits. 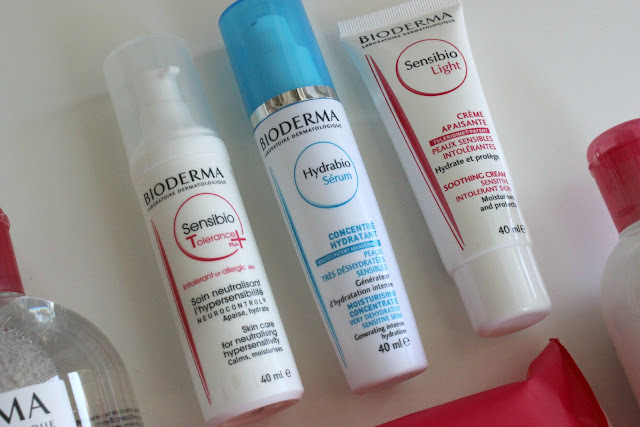 When Bioderma sent me a package, I was curious about some of the products, particularly the Sensibio line. Designed to increase skin's tolerance level, the Sensibio line is specifically designed for us sensitive skinned ladies (and gents). The Sensibio Light Soothing Cream is a moisturizer, and works by restoring comfort to the skin, gradually making it less sensitive by increasing the skin's tolerance threshold. While I've only been testing this out for a little while, I can honestly say that it feels amazing on my skin. I've virtually eliminated my caffeine intake, and have started drinking a lot more water, which has really helped my skin's sensitivity level over the last few months. But I feel like this product is that final umph that my skin needed. I can even use face masks that indicate they are "not for sensitive skin" without any kind of reaction now. It's a small, but exciting defeat. But the Sensibio Tolerance Plus cream is something that I would have killed for a while back. Designed for intolerance or allergic skin, this cream neutralizes hypersensitivity by calming and moisturizing, which helps with feelings of tightness and discomfort. I have a lot of dermatologic allergies (that means I break out in rashes and hives when I come into contact with things I'm allergic to), and my rosacea flares up (my cheeks so super red and bumpy) when I'm in the heat. So pretty much, I'm allergic to summer. The first time I used this, was before a volunteer shift at a garden centre early in September, on literally the hottest day of the summer (it was in the 40's with humidex). This product worked amazingly as a preemptive cream. I noticed a huge difference in how my skin looked, versus how it would normally look, after a shift. There were still some bumps, but hardly any redness and it wasn't itchy! I've also been rubbing this onto my legs when I notice heat rash developing, and almost instantly I feel a sense of relief (no more burning or itching). I know, I know. Talking about skincare can be boring. But for anyone who suffers with sensitivity, you know how horrible it can be. 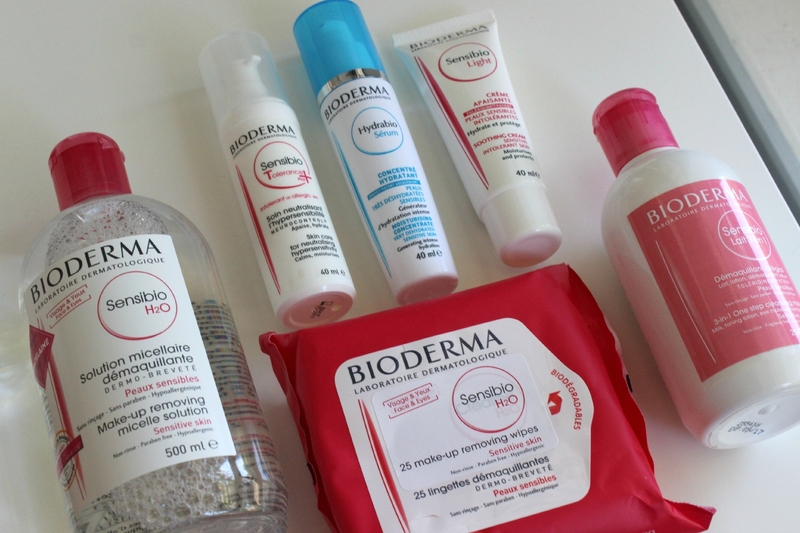 It's a daunting and potentially painful process to try out new skincare. But the hypoallergenic, fragrance and preservative free nature of these products makes finding effective skincare that much easier. And since it works to increase your skins tolerance level, you can start experimenting some more!